Having joined the community just a couple of months ago, aviannovice may be something of a HubPages novice, but don’t let her newness fool you! She has already published an impressive number of fascinating Hubs on birds, as well as other interesting subjects. After reading her bio, you’ll find that this Hubber has quite a few intriguing areas of expertise. We asked avian novice for an interview to learn more about them. We hope the following interview will inspire you to dig into your own unique specialities- and write some Hubs about them! Aviannovice’s work truly attests to the wonderful impact one can make by sharing personal passions and skills with others. 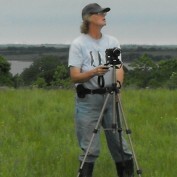 After finding a baby bird on the sidewalk in 2004, you were, over a series of months and years, transformed into a bird watcher, advocate, photographer, and rehabilitator. If your pre-2004 self had been told that she would become a bird expert, would she be surprised? I would not call myself a bird EXPERT, as I always find myself learning something new. I don’t feel that anyone can know everything about birds, as they will prove you a liar every time. They all have their own personalities, some are friendly and others don’t want to be anywhere near people. As far as photography, I just seriously began photographing birds in Jan. of this year, as I finally got myself a digital camera with a little zoom as a Christmas present. Prior to that, I had a little Minolta 35mm point-and-shoot that used film. In addition to rehabilitating and working with birds, you work with K9 Partners for Life (which socializing helping dogs that accompany people with physical disabilities) and PAWS (which spays and neuters feral cats). Will you write about these subjects on HubPages as well? Unfortunately, I have not done any rehab work with birds since 2006 for the most part, though I did raise and help raise a couple of baby birds in 2010, a Common Grackle and an American Robin. I was thinking about writing about both PAWS and K9 Partners for Life, both excellent organizations. When I was in Maine, I did a little work with Allied Whale, which was based at the College of the Atlantic in Bar Harbor, ME. Through that program, I worked with seals and porpoises, some living, and some not. I gained some good experience in necropsies, which was to determine how and why a sea mammal passed on. Sadly, I have been unable to find any good volunteer work with animals in Stillwater, OK, where I am now. I miss it greatly. Many of your Hubs feature beautiful photos that you’ve taken. Do you sometimes write Hubs just to use a beautiful set of images, or do you typically take photos to illustrate something you’re describing in a Hub? I am out photographing, and what comes, comes. The only times that I plan on using specific photos is when I write my weekly, Life at Boomer Lake with Deb. Sometimes, birds just present themselves, and when they do, I take those pictures, as I never know when I might need them. I have even provided a few photos to fellow Hubbers for their Hubs. You are oil spill certified in two states. What does this mean? What do you do with this certification? Do you think you’ll be writing any Hubs on the subject? What first brought you to HubPages? What are your future plans with the site, community, and platform? I found HubPages on a nationwide job site, so I thought that I would see what it was about, and I like the fact that I don’t have to beg to get myself published. I have been trying for decades to get published, to no avail. One never knows, it just might open a few doors for me, as my stories are all over the internet now, being read all over the world, and I even get e-mails from people from the internet. I enjoy the community, all the people that I have encountered, and I see no reason why I would not stay here on HubPages. I might even be able to help new writers. I like to keep an open mind on these things. I believe in keeping doors open and not closing them. With your writing, is there any overarching message that you would like to get out? What sort of impact do you aim to leave on your readers? My general rule is to reach the general public about the beauty of nature and the fact that we should keep it beautiful and preserve it as much as possible. It is important to try to save what we have and not do any harm to the beautiful creatures and flora of our earth. We only get one chance, so we must preserve it as best as possible, so future generations may enjoy it, as well, and learn by example. My basic credo is that if I cannot impassion people about nature, nobody can. My Hubs are also on the on-line blog for the Stillwater(OK) News Press, the local newspaper. Everyone that I meet on my daily ventures to Boomer Lake is given a card with my Hub information, so they can read about nature, our local birds, and see the pictures that I provide with my Hubs. I’m having so much fun with this, and if I only got paid for writing, I would be in Seventh Heaven to support myself by doing something that I truly love. I try to share my passion and love for nature with all those people that I encounter, for it can be infectious.